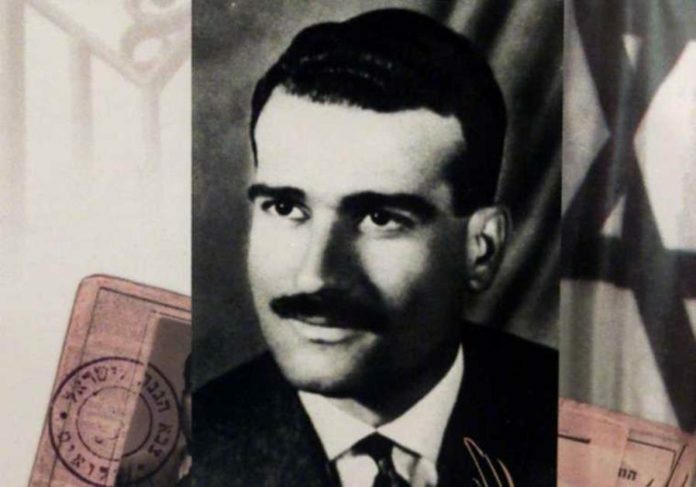 According to multiple reports quoting Syrian opposition websites, a Russian delegation reportedly left Syria on Sunday and had with them the coffin containing the remains of Israeli spy Eli Cohen. According to the Jerusalem Post, Israel has refused to comment on the reports. YWN stresses that these are unconfirmed reports, but come just two weeks following the return to Israel of the remains of IDF Soldier Zachary Baumel HY”D. In July of 2018, YWN reported that there had been an agreement between Israel and Syria to have the remains transferred to Israel. The remains were to undergo DNA testing and if it turns out that they are Cohen’s, Israel will be willing to relax its position regarding the deployment of the Syrian army on the northern border. The report also had said that Cohen’s family recently heard his last words before he was executed. The recording was accompanied by sad music, and Cohen was heard talking to his wife, Nadia. He asked her to look after herself and the children, to remarry and to take care of his children’s education. The spy wanted to make sure that she told the children about him, so they would be proud of him in the future and invited her to pray for his neshama. Cohen infiltrated Syria’s leadership in the early 1960s and obtained top-secret intelligence before he was caught and executed in 1965. Next articleAlmost Over! Kikiriki only $13.99!! + You must try the new Avanti Shells – One Week Only! This would seem to be a major effort on the part of the Russians to influence Israel, and to promote better relations with the United States. One should also keep in mind that in 2021, the US will probably no longer be allied with Israel (when the Democrats come back to power) and may in fact be openly hostile, and the Russians might be looking for a well armed competent ally, and Israel will desperately need a friend if the becomes an enemy. A Putin is known to play chess, where one must plans moves well in advance. Now let’s get the Rebbe out off Uman and bring him home to the land of the Jews, where Families can be together for Rosh Hashana. Let’s stop this nonsense, helping the Russian economy.